Summer is at its height, sending droves of tourists and residents out onto the beaches of the Cidade Maravilhosa, to swim, sunbathe, or partake in one of many popular beach activities. RIO DE JANEIRO, BRAZIL – The beach, for many, is the centerpoint of city life in Rio de Janeiro, with locals and tourists alike spending as much time as possible on or near the Atlantic waters and white sands. And there is a lot to do on the beach besides sunbathing and swimming, so here is a guide of some of the more popular beach activities in Rio de Janeiro. Copacabana beach famously held the beach volleyball matches for the 2016 Summer Olympics in Rio de Janeiro, photo courtesy of Renato Sette Camara/Riotur. One of the best free activities in Rio are the many outdoor workout stations situated along the beaches of ‘Zona Sul’ (South Zone) from Leme to Barra da Tijuca. These are free and usually have fairly easy to follow instructions for how to get the best out of the equipment. While another option for anyone wanting to keep fit while enjoying the sun and sand is to drop in on one of the circuit training events that take place in the mornings and evenings along Copacabana and Ipanema. Beach tennis is another very popular option among locals of all ages. From a knockabout without nets (also known as ‘frescobol’) to competitive matches, there is something for everyone. People wanting to take their game a little more seriously can head down to Escola de Beach Tennis on Leme beach, where top beach tennis player Wagner Fidelis offers lessons and organizes tournaments. Beach volleyball is a well-known Brazilian pastime, with plenty of nets up and down the beaches of Zona Sul. 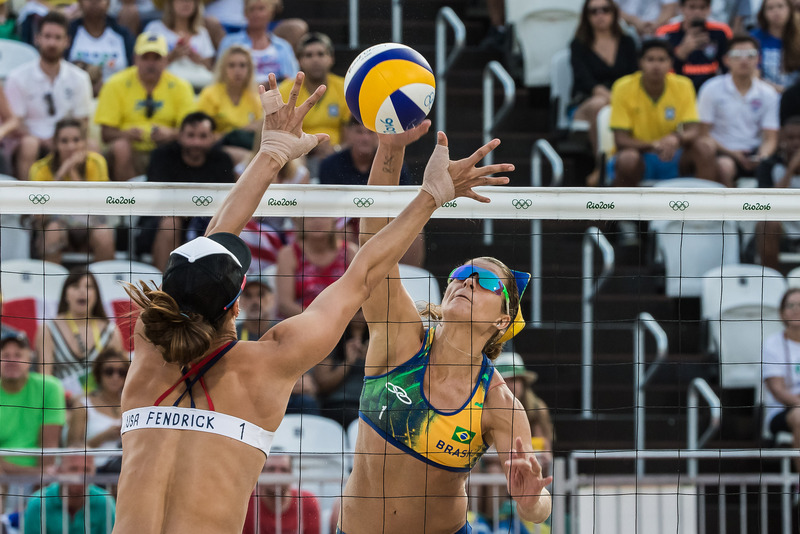 Caminhos Language Centre organize a weekly beach volleyball session for students and teachers on a Monday evening at 5PM near Posto 9 in Ipanema, which is open to anyone looking for a friendly and inclusive game. “We also sometimes do ‘bate papo’ (informal conversation) where we bring the students and teachers down onto the beach and do some different activities.” comments Belinda Seixas from Caminhos. Not for the faint of heart, beach rugby is making quite the impact on the beaches of Copacabana and Ipanema, photo internet reproduction. ‘Futevolei’ (Footvolley) is the uniquely cariocan fusion of football and volleyball that is possibly the hardest beach activity to master and also the most impressive to watch. Perhaps because of this, there are many classes available for all levels, with Escolinha de Futevôlei do Léo Tubarão at Copcabana’s Posto 4 being one of the most popular. Classes take place from Monday to Thursday, with an hour for beginners (6-7PM), advanced (7-8PM) and beginners again (8-9PM). There is a monthly fee of between R$160-R$210 depending on the frequency of attendence. Also worth checking out is Clínica de Futevôlei in Ipanema. 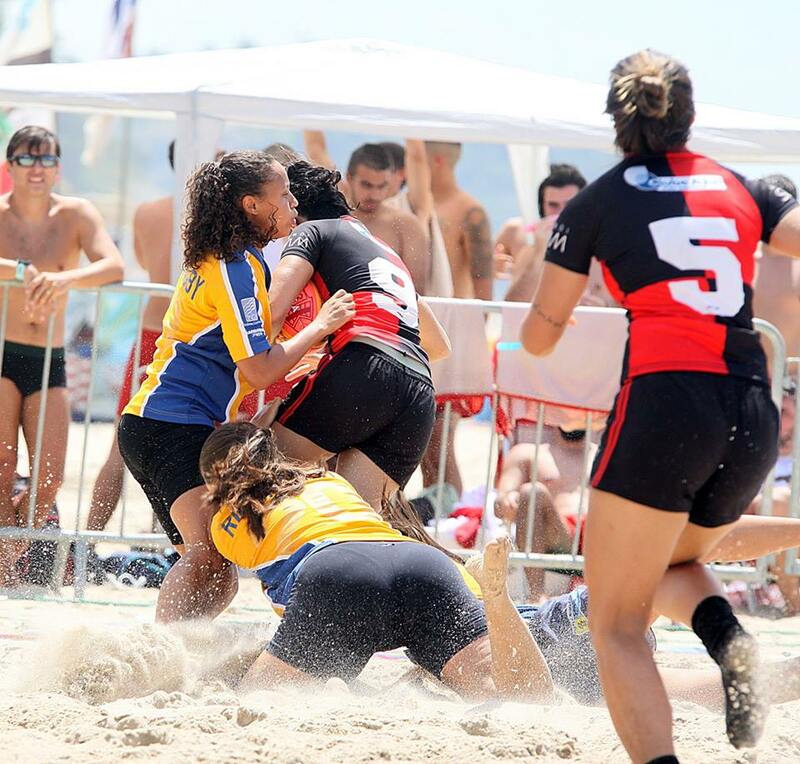 Finally, for those that like a little more contact in their sport, beach rugby has recently been making sand fly as it crashed onto the beaches of the Cidade Maravilhosa. With a recent international tournament having taken place at Posto 10 in Ipanema, there are also regular matches and training sessions on the pitch near Posto 2 in Copacabana.